Series TT05 universal torque testers can be used for a range of applications up to 100 lbFin (11.5 Nm). The stainless steel loading surface features a matrix of threaded holes, ideal for accomodating specialized fixtures and attachments. 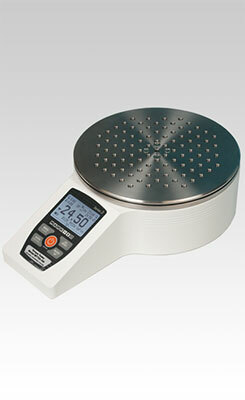 The testers' rugged design and simple, intuitive operation allow for use in laboratory and production environments. Accuracy of +/-0.3% and a blazingly fast sampling rate of 7,000 Hz ensure reliable and consistent test results, even in quick-action applications. USB, RS-232, Mitutoyo and analog outputs. Automatic output, data storage and zeroing upon sample break helps automate testing processes. First/Second peak detection for torque tool testing, bottle cap testing and other applications. 1,000-point data memory with statistics and outputs. Password protection prevents unauthorized changes. Programmable set point indicators and outputs for pass/fail determination. MESUR Lite data collection software included.